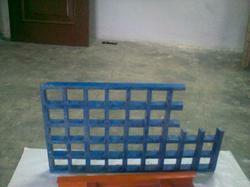 Our organization offers a wide collection of FRP Gratings to the patrons. The products we are offering are manufactured using optimum grade raw material, procured from the reliable vendors of the market. To meet the varied requirements of the customers, we offer these products in varied specifications. Our quality experts stringently examine all the products before delivering them to our clients. 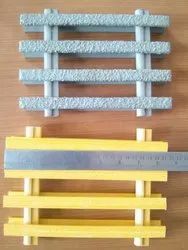 In our product like we are offering GRP Gratings (Glass Reinforced Plastic Gratings). These products reduce any kind of accidents in the Industry. This array of products make wet and oily surfaces comfortable to walk due to their anti slip properties. These consignments are appreciated for hard wearing, high chemical resistant, easy to install and non-slip flooring properties. Looking for FRP & GRP Gratings ?